DC HC520 hard drive. Built using HelioSeal technology, the industry’s only fifthgeneration helium platform and the basis for our high-capacity DC HC500 series, Ultrastar DC HC520 was designed for public and private cloud environments where storage density, Watts/TB and $/TB are critical parameters for creating the most cost-efficient infrastructure. HelioSeal technology is key to achieving higher drive capacities, higher reliability ratings and extreme power efficiency for lower levels of total cost of ownership (TCO) for cloud and enterprise customers. Data centers are facing growing pressures. Data volume is expanding, operating costs are rising, yet budgets remain flat. HelioSeal technology enables Ultrastar DC HC520 to deliver one of the lowest power profiles in the industry, helping data center architects meet eco-environmental goals and requirements. Designed to handle workloads up to 550TB per year, the Ultrastar DC HC520 is based on conventional magnetic recording (CMR) technology for drop-in simplicity in enterprise and cloud data centers. Features like TDMR technology (two-dimensional magnetic recording) and a third-generation dualstage microactuator work together to enhance head-positioning accuracy and deliver better performance, data integrity and overall drive reliability, critical in multi-drive environments where operational vibration is present. A choice of 6Gb/s SATA or 12Gb/s SAS interface enables easy integration into high performance data centers. 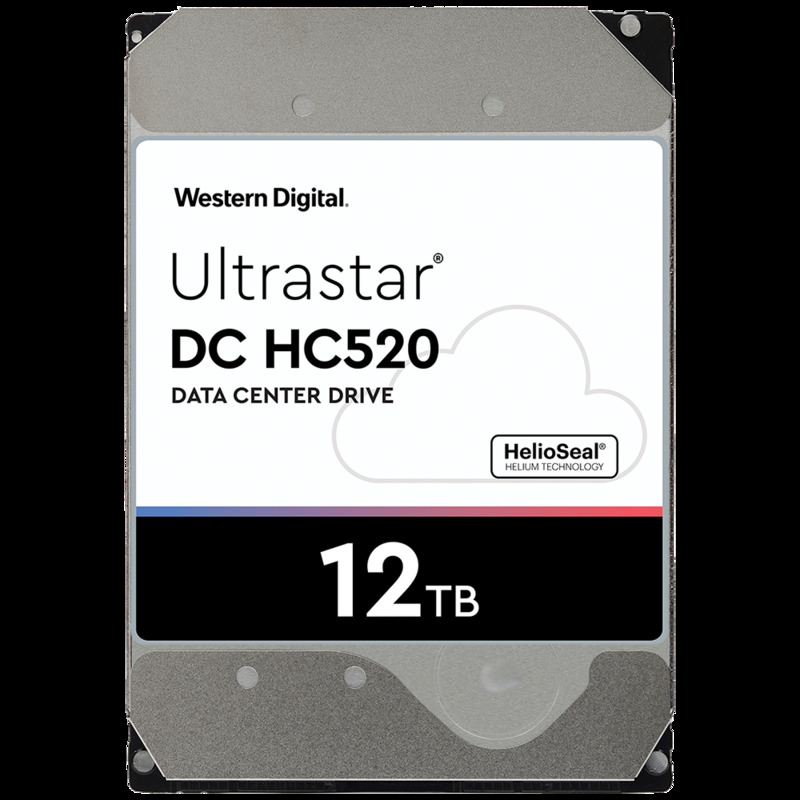 Trust Western Digital and the Ultrastar DC HC520 hard drive to deliver more capacity, more efficiency, more reliability and more value to your data center. As drive capacity grows beyond single-digit TBs, object storage systems with erasure coding generally provide better data durability compared to RAID systems, given its tolerance for simultaneous error conditions. The Ultrastar DC HC520 is ideal for object storage implementations with its massive capacity and an unbeaten reliability rating. Compliance and privacy requirements drive the need for increased data security. The Ultrastar DC HC520 offers security and encryption options to help protect data from unauthorized use, including TCG SAS models.